We offer multiple finance options with Q MasterCard and Q Card. You automatically get 3 months no payments and no interest* with Q MasterCard or Q Card through the EFTPOS machine. On all treatments $200 and over, there is 12 months no payments and no interest** If you don't already have a card you can apply for a Q MasterCard online by clicking HERE. For more information visit www.qmastercard.co.nz or ask at our Practice. Lending criteria, fees, terms and conditions apply. *No payments and no interest for 3 months (“Payment Holiday”) is available on all purchases at participating retailers on Q EFTPOS and Q MasterCard. Annual Account Fee of $50 applies. Standard Interest Rate, currently 25.99% p.a. applies to any outstanding balance at end of Payment Holiday. Lending criteria, fees, terms and conditions apply. Rate and fees correct as at date of publication, subject to change. Offer only available to existing Cardholders. MasterCard and the MasterCard Brand Mark are registered trademarks of MasterCard International Incorporated. **12 months no payments and no interest (“Payment Holiday”) is available on Q Card Flexi Payment Plans. Minimum spend $200. Account Fees may apply. A $55 Establishment Fee for new Q Cardholders and a $35 Advance Fee for existing Q Cardholders will apply. Q Card Standard Interest Rate applies to any outstanding balance at end of Payment Holiday. Offer is ongoing. Q Card lending criteria, fees, terms and conditions apply. 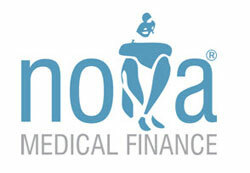 Receive up to 55 days no payments and no interest when you use your Farmers Finance Card at Nelson Plastic Surgery. Lending criteria, fees, terms & conditions apply. Enquire about our ‘My Face Formula’ payment plan, in which your treatment costs can be spread over the year. Payments can be made weekly, fortnightly or monthly to suit you with the benefits of complimentary skin treatments. No interest or extra fees added. This can be discussed at your free consultation with our Appearance Medicine Nurse. 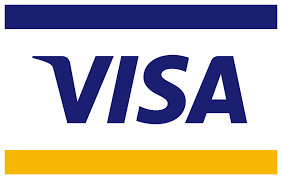 All major credit cards are accepted, including Visa and MasterCard.